The idea of getting married is as exciting as it is nerve wracking for the woman. As the day approaches, she slowly realizes that she should select her wedding attire soon. Nervousness could make you select wrong apparel. Hence, you should calm down and then start shopping. If you still have not decided on the genre of wedding dress, then know that you have a gorgeous option in the form of lehenga choli. The wedding collection of this dress is full of brightness, shimmer, and color. Being one of the most preferred Indian traditional wedding clothes, they are available in traditional hues, designs, and patterns. 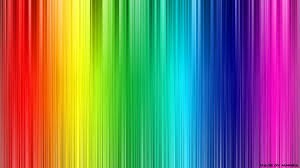 In them, mostly shades of red are used which include maroon, deep red, and wine red; sometimes shades of yellow and orange are also used. For the non-conventional bride, the choices are huge with colors ranging from blue, pink, fuchsia, mauve, green, to gold, silver, and so on. A variety of decoration methods are fused together to provide the perfect bridal look to the dress. Therefore, you will find embellishments like stones, rhinestones, beads, pearls used in different forms embroidery. With a wide assortment of wedding clothes available at YOSARI, you can easily pick one that would suit your taste. These two cuts are ideal are for hourglass shape body. A woman possessing this shape is considered luckiest, as she has the curves at the right places. Nevertheless, she has to make sure that all her curves are accentuated in the right way. Since you have a curvaceous midriff, you should decide to keep it bare by wearing a short choli. Moreover, the A-line cut should not flare too much. If you go for the mermaid cut, you will feel at home because the shape of this cut typically flatters the hourglass body. Women with a rectangle shape/athletic body with no visible curves will benefit most from the wide waist cut. The midriff is not to be left bare. You have two options for covering it. Either you could cover it with a long choli or you could have the lehenga cover it. 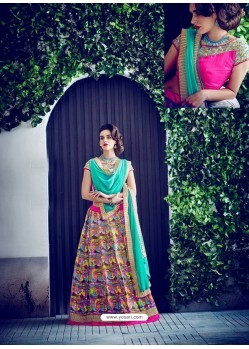 Many lehengas have a highly decorated waistline, which beautifully wraps around the waist giving it an enviable shape. For the apple-shaped body, it is never recommended that you should hide the wide shoulders with a soft fabric. In fact, you will look impressive in a wide neckline or an off shoulder choli. Wear heavy jewelry, which will define the shoulders beautifully and take away some of their excessive wideness. You could also try the jacket lehenga. Although it will cover your shoulders but as the fabric used for the jackets are sturdy, they will provide shape to your broad shoulders. Ensure that the jacket is full length, as it will give symmetry to the entire ensemble. Long cholis that reach the knees and look like kurtas are best for the pear shaped bodies. The choli lends a slimming effect to the heavy waist, as the cut of the fabric is straight from the slender shoulders with a slight flare to adjust the hip measurements. The choli has to be heavily decorated because it will take the center stage in the attire. You will find decorations in the form of yokes and embroidery on it. 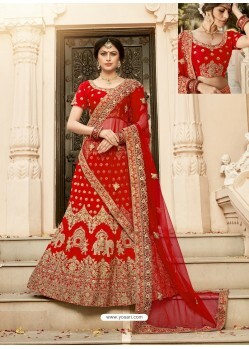 The lehenga in this case has a profoundly adorned border, which will match well with the border of the choli. 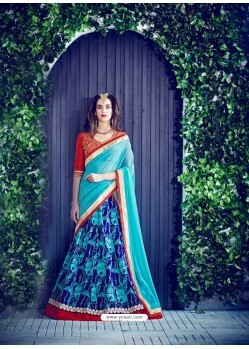 These lehengas are very popular as their appearance is breathtaking. First, they have a full-pleated look that is highly desirable, as when the bride walks, the pleats move gracefully with embellishments shining in them attractively. Second, when a bride sits on a flat surface, she could have the entire garment spread around her in the shape of a circle. This feature of the dress is very appropriate for photography sessions. Whether you plan to get clicked with your groom or have booked a solo photography session, with this outfit, you will definitely rock in the images. Why is YOSARI the best place for wedding lehenga choli? www.yosari.com is an online shopping website that can be easily reached no matter where you are. Shopping from www.yosari.com is a pleasurable experience because of the wide available collection. Moreover, all the wedding dresses featured on the website are made of authentic materials, which ensure that all our customers receive the best products. Being a destination for stylish clothes for women, here, you will find not only wedding attire but other kinds of lehengas too. Hence, your mother, aunts, sisters and lovable friends, can all shop from here. Shipping is done with a guarantee of satisfaction to all our customers. We observe exemplary packaging instructions while packing our items so that they stay in perfect condition until they reach our customers’ doorsteps. We ship to a host of locations not only in India but also abroad like the USA, the UK, Canada, and Australia.